After the very fruitful 3-day Organic Skincare Workshop over at Skin Dewi last year, which you can read here, here and here, I got to try several of the skincare offerings. I kept hearing about this particular product being one of the best sellers during the workshop (thanks, Steven!). Naturally, I was intrigued because apparently, this product isn’t what I thought it was. Skin Dewi Hazelnut Cleansing Milk* is the one product that changes the way I think about cleansing and how it can make such a huge difference to the skin. Curious? Read on. Just recently, we went for our honeymoon. We chose Japan because we’ve been wanting to go there again ever since our first time. There was no need to make a decision of where to go because we already knew! Following the post on my skincare routine during the trip 2 years ago, I’m going to do the same for this one as well. It is still winter time. But this time, I was trying to be a little more straightforward and less fussy with the routine. Because we were going to be there for 2 weeks, I carried all full-sized products with me. Keyword: focus on hydration and moisturization. Leahlani Masks – Even Ants Love Them! So, this is the review that so many people have been waiting for. I first came across Leahlani Skincare through Nic from Organic Obsessions. sometime last year. She’s always praising (and wearing) Mermaid Mask and from there on I get to know more about Leah and her work. I knew something is very special here. I have to try it for myself and boy, I certainly get more than just a skincare. Leahlani Skincare is a mix of organic botanicals and clays, delicious tropical fruits, and pure organic Hawaiian nectars blended in intimate, aloha-infused batches on the lush north shore of Kauai. There is a reason why it took very long for me to write the review. I have used her products for a year now and I enjoy it very much. Maybe too much that I don’t feel I have the capability on describing the way they make my skin look and the whole experience. I want to express and do her products justice. Somehow I didn’t feel I was able to. It’s like I am out of the league here. But let me just try. It looks intimidating. It’s BLACK for goodness sake. Sometimes I wonder why I do this but I felt very challenged back then. I really wanted to try this black stuff. I did wait a while before I finally did. Within a week of use, this product has shot right up into one of my favorite face cleansers. Yoshimomo Black Magic Bamboo Charcoal Cleanser. I know, the title’s cheesy. But you’ll understand why in a few minutes. 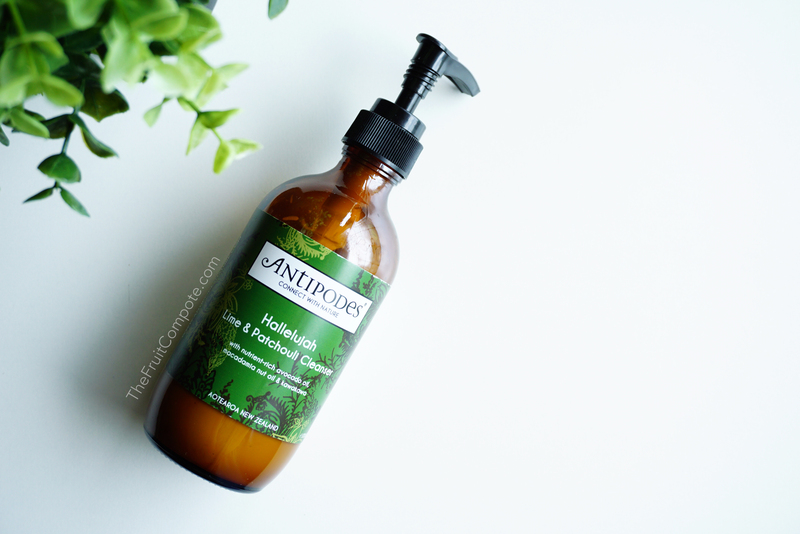 After Hallelujah, this will be my second product review from Antipodes and hey you guessed it, it’s another facial cleanser! 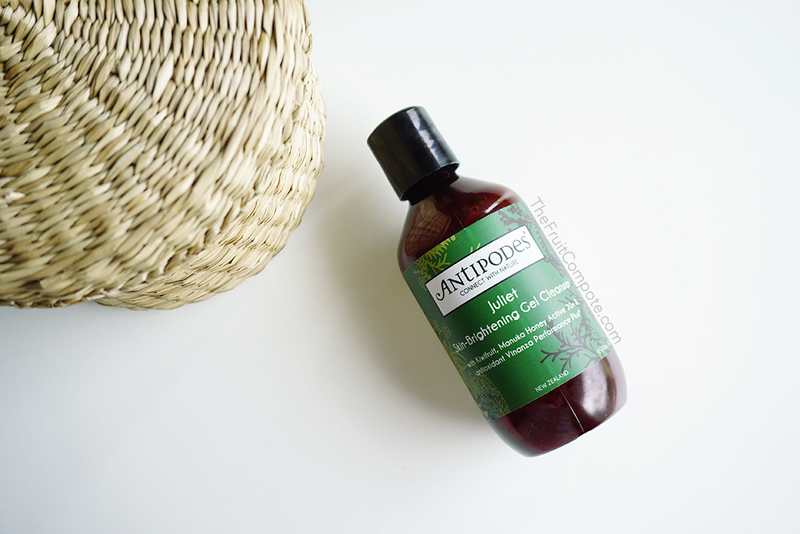 Antipodes Juliet Skin-Brightening Gel Cleanser*. Sing It To Me, Antipodes Hallelujah! It’s easy to know whether you like something or not. It’s especially easy with facial cleansers. The moment you start using it every night and day, you know something is definitely up. Without further adieu, Antipodes Hallelujah Lime & Patchouli Cleanser.